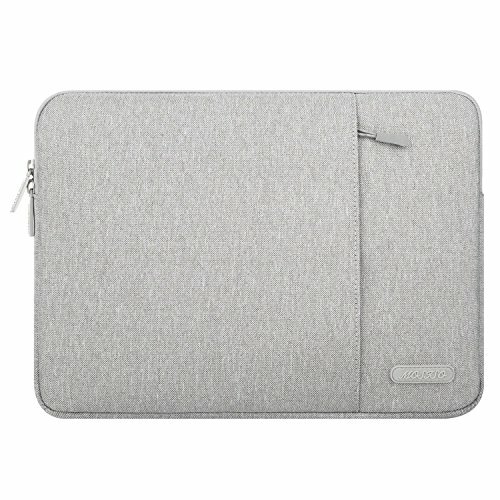 Best 11-inch iPad Pro 2018 Sleeves. An iPad Pro sleeve is the best way to safeguard your device especially when you’re planning on moving to different places with it. If you are looking for ways to safeguard your device while carrying it, then this article has got you covered. 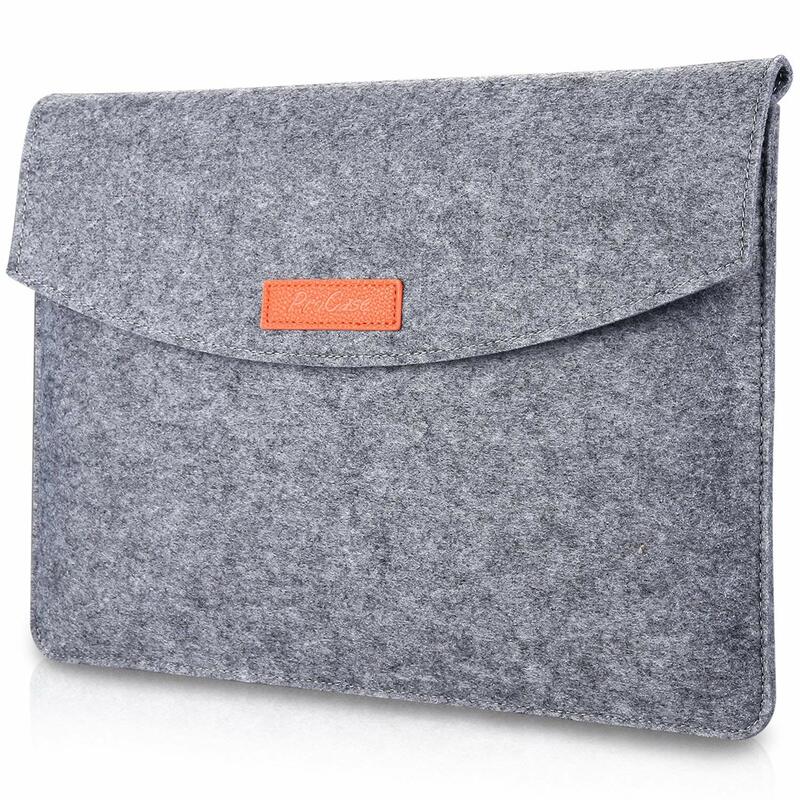 A good iPad Pro sleeve will give you the peace of mind knowing your device will be safe at all times. There different types of 11-inch iPad Pro sleeves and we’ve compiled the best varieties for you to choose from. Below is a list of the best 11-inch iPad Pro 2018 sleeves to consider. The MoKo brand is no stranger at producing high-quality accessories for smartphones, tablets, and laptops. Its soft brown leather with its unique texture gives a polished and professional look whenever you carry it. It is also slim and lightweight so it does not add any bulk while using it. You can easily slide it into your briefcase, backpack or any other bag that might fit. This design has a protective sleeve with a quick access through its envelope style design. With its magnetic seal, you will not have to worry about an accidental opening. Your iPad Pro will be secured throughout. 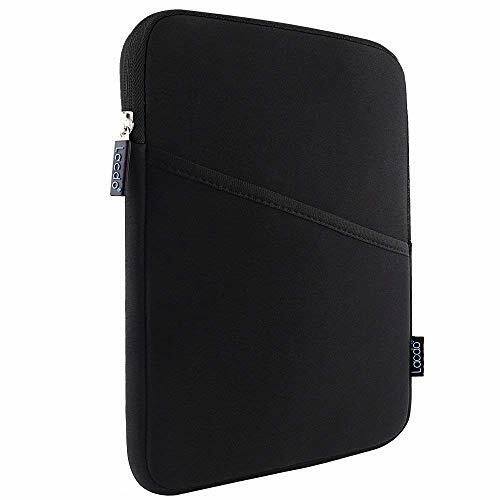 If your looking to safeguard your device against most damages that are prone to happen, then the Lacdo 11-inch iPad Pro sleeve is the best fit for you. This design is made with Canvas fabric with extra soft anti-static material that features three layers of protection from water, scratches, and shock. This makes it ideal for outdoor activities and traveling. With an addition of a pocket at the front, it provides extra space to carry accessories. Its top-loading zipper on the sleeve glides smoothly and allows convenient access to your iPad Pro. The tomtoc iPad Pro sleeve utilizes the latest consumer technology to safeguard your iPad from any unwanted bumps, scrapes, and knocks which may result in damaging your device. This design uses the shock absorbing padding with fleece material to protect your device at all times. The safety of your iPad will no longer be a concern once it’s placed inside the sleeve. The tomtoc sleeve features a large pocket for carrying your iPad and additional pockets to carry your smartphone and other accessories. The sleeve comes in different colors and designs. 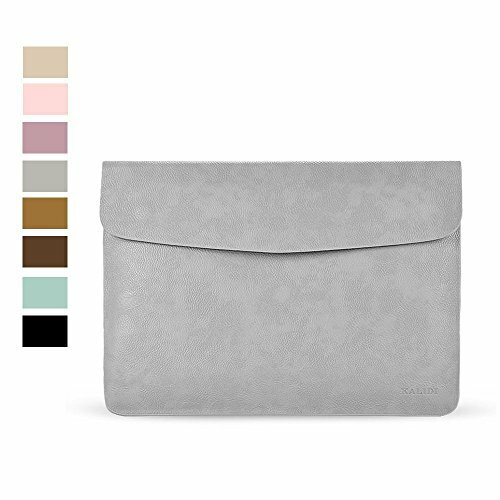 The MOSISO 11-inch iPad Pro 2018 sleeve is made with a high-quality polyester material with a smooth gliding top zipper that allows safe and easy access to your device. 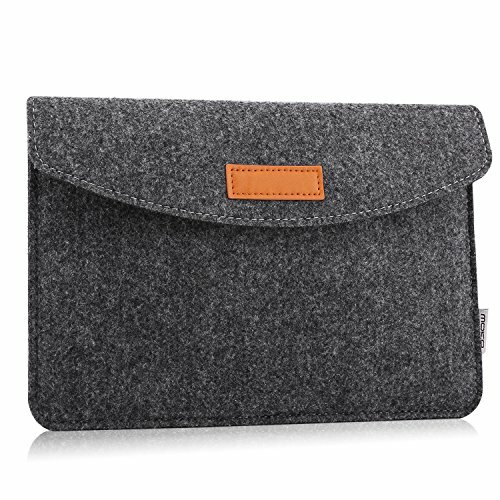 It is also slim and lightweight enabling you to carry it anywhere without worrying of additional bulk. You can simply put it inside your backpack or briefcase. This design features a polyester foam padding layer and fluffy fleece fabric lining for bump and shock absorption. It also protects your device against dust, dirt, and accidental scratches. It also has extra pockets for any additional necessities. The ProCase is committed to designing and building solid, sturdy and functional varieties of products such as cases, sleeves, and bags. The ProCase iPad sleeve 2018 has a sleek lightweight design that allows this case to be carried solo or slid into your briefcase or backpack. This makes your device ready for use anywhere and anytime. The sleeve is closed with a flap that extends up to half of the pocket. This keeps your device tightly in place and ensures a hassle-free opening and closing. It also features additional pockets at the front and back for smaller items. 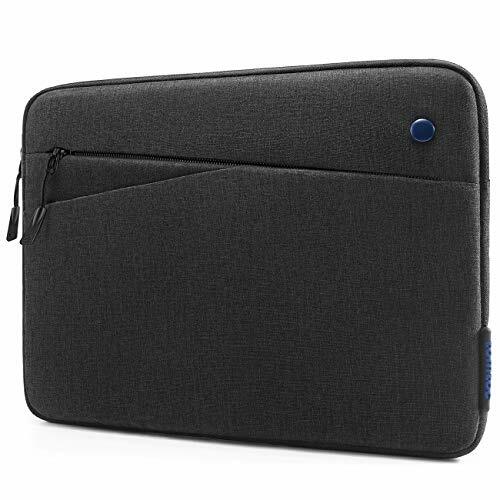 This sleeve is designed with a high-elastic neoprene surface layer, water-resistant neoprene layer and soft fluffy fabric inner layer which safeguards your device against dust, dirt, scratches, bumps, and water permeation. 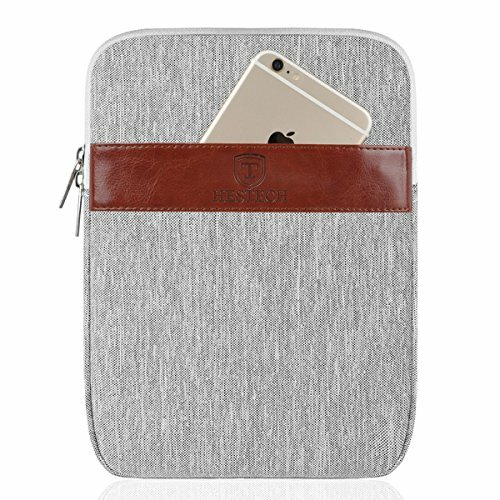 The HESTECH sleeve has a sleek classic design that gives a professional look whenever you carry it. It also features a large main pocket for your iPad Pro and additional front pocket space for carrying other small electronic devices or accessories. The HESTECH iPad Pro sleeve is ideal for travel, school, and business. The KALIDI iPad Pro case is made with premium microfibre leather, handcrafted to the highest standard for a luxurious look and durable look. In addition, it secures your iPad Pro against scratches and bumps that may damage it. This design utilizes an invisible magnetic closure style that allows safe and easy access to your device at any time. Below is a list with iPad accessories that you can use. 4.Best iPad Pro 2018 Keyboard Cases.